Atiku Abubakar, presidential candidate of the Peoples Democratic Party (PDP), says data from the server of the Independent National Electoral Commission (INEC) revealed how his votes were reduced in as much as 31 states and the federal capital territory (FCT), Abuja. 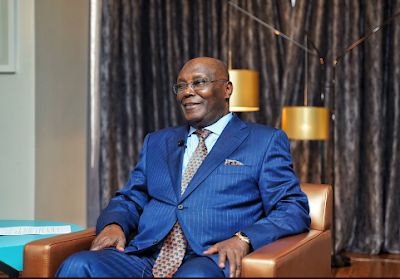 Atiku has therefore insisted that he defeated Buhari with 1,615,302 votes. He said the data showed he actually polled 18,356,732 votes while President Buhari got 16,741,430 votes. According to the result declared by INEC from the 36 states and the FCT, Buhari polled 15,191,847, while Atiku came second with 11,262,978 votes. Atiku said the INEC result is fraud. He said smart card readers deployed by the commission, in addition to accreditation, equally transmitted electronically the results of voting from polling units directly to INEC’s server.